Automation service IFTTT (If This, Then That) has rounded up its top recipes of 2013 — and it turns out that syncing between Facebook and Twitter is the most popular one among its users. 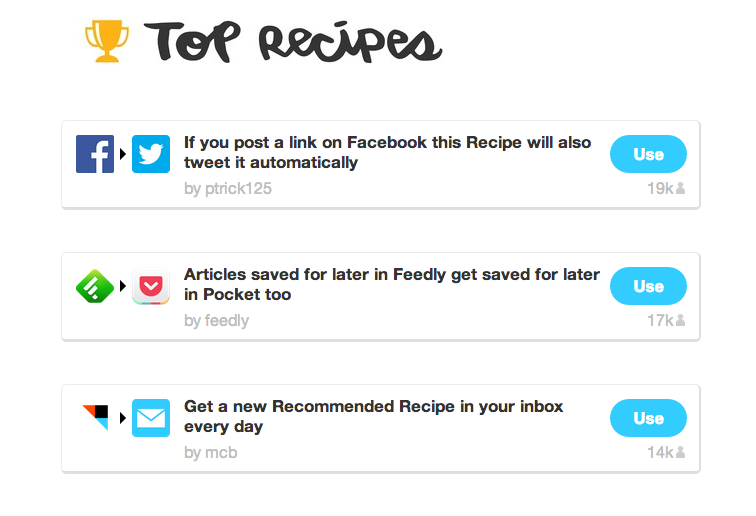 With 19,000 users, the top recipe of last year tweets automatically when you post a link on Facebook. You can actually do so on Facebook now, but this recipe may have been set up some time ago and is still being used by IFTTT regulars. The recipe that takes second place is saving articles in both Feedly and Pocket, followed by receiving new recipe suggestions in your email daily. 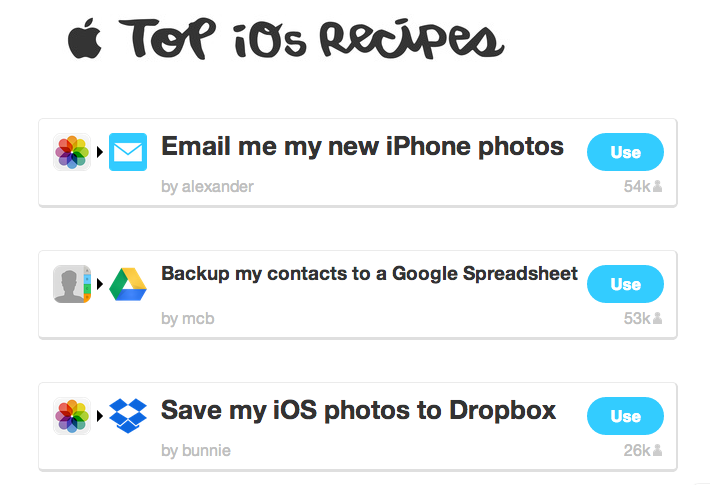 Among the top iOS recipes are getting emailed new iPhone photos, backing up contacts to a Google spreadsheet and saving your iOS photos to Dropbox. Come up with some innovative recipes to hook multiple Web services together to perform automated actions, and you may just see your recipe turning out tops this year.